Taking on the role of Director of the Coleridge Autumn Study Weekend for the first time this year, I became all the more conscious of the genius of its form, which has thrived under the stewardship of the outgoing Director, Peter Larkin, and which I have enjoyed as a participant (and sometime speaker) every year but one since 2006: a weekend in Coleridge’s West Country, with a programme of outstanding speakers curated around a theme drawn from his endlessly fascinating life and work. I felt the hint of a new responsibility. Just as it’s the guests that make a good party, though, the Weekend has a life of its own, which I was delighted to see in full flow from the outset as we welcomed friends old and new, from all over Britain, together with the Netherlands and Ireland, to Halsway Manor. Halsway itself was splendid as ever – all the more so for the enhancements carried out through its recent grant from the Heritage Lottery Fund. Throughout the Weekend, we were well looked after: the staff at Halsway were helpful and attentive, and we were very well fed and watered. Poetry (‘poiêsis = making’, as he reminds one correspondent) is fundamental to Coleridge’s achievements as a writer and thinker – as well as my own concerns – and I wanted to reflect this in my first Weekend as Director. The new beginning also gave me the chance to try a few new things within the winning format of the Weekend that I’ve described, with a fresh mix of lectures, seminars, conversations, readings and performances. Joseph Phelan gave an excellent opening lecture on ‘Coleridge and the Music of Verse’, which enthused and invigorated its audience and set the ideal tone for the rest of the Weekend. Expanding upon elements in his book The Music of Verse: Metrical Experiment in Nineteenth-Century Poetry (Palgrave Macmillan, 2012), he described how the development of the analogy with music in eighteenth- and nineteenth-century prosody – together with a host of productive misapprehensions concerning metre, not least in relation to the Classical hexameter – enabled radical thinking to emerge in English poetry from its engagement with differing metrical traditions. In this, as so often, Coleridge was a pioneer. After questions, the time felt right to recognise the publication of Coleridge and Music, a new contribution to Coleridge studies by Petrus de Jong, who also presented a gift copy to our first speaker, in acknowledgement of a fine lecture! The next morning saw the first of two seminars given by Jim Mays on the theme of ‘A Poet Making’. Jim’s standing as a world authority on Coleridge is well known to scholars, and these seminars gave participants a special opportunity to spend time in the company of Jim’s knowledge, sensitivity and insight. Each seminar focused in depth on a famous Coleridge poem: first, Dejection: An Ode, and on Sunday morning The Rime of the Ancient Mariner. These drew on his book Coleridge’s Anicent Mariner (Palgrave Macmillan, 2016) and his forthcoming book on Dejection: An Ode (also Palgrave Macmillan). As ever, Jim’s remarks illuminated each poem in fresh ways, while remaining responsive and open, providing a hospitable atmosphere for the questions, discussion and comment that followed, which the seminar format encouraged. As well as continuing to bring readers and thinkers from beyond the academy together with leading scholars, one of my aims as Director will be to forge stronger connections between the study of Coleridge and contemporary literary and cultural life. It was a huge pleasure, then, this year to welcome the poet Rachael Boast for a session in conversation with me about her longstanding interest in Coleridge and its relation to her own work – about which she spoke beautifully – after which Rachael gave a spellbinding reading of a selection of poems from across her published collections and beyond, which she chose in particular because of their connection to Coleridge. Similarly, it was wonderful to hear the world-renowned composer Howard Skempton, in the final session of the Weekend, speak about his brilliant and beguiling setting of The Rime of the Ancient Mariner (NMC, 2017). The room was rapt as we listened to the piece, which had been written with the outstanding qualities of Roderick Williams’s baritone in mind: a decision more than justified by Williams’s solo performance on the recording. The connection between poetry and music with which the Weekend had begun was suggestively and memorably reaffirmed. Besides our speakers, the Quantock Hills played their part in the Weekend on Saturday afternoon, with Peter Larkin leading walkers onto the hills directly from Halsway Manor, which could not be more conveniently situated for an exploration of the landscape Coleridge knew so well. The warm weather held as Peter expertly navigated the combes, we sighted deer on the hillsides, and we carried on the conversation in ideal conditions – while non-walkers were free to explore the Manor, Nether Stowey or indeed anywhere else of their choosing in the area. Saturday evening saw an excellent performance of ‘Coleridge in Calne’ by Calne residents Tom Morris, Nick Baxter, Karen Baxter and John Boaler – featuring historical accounts, sketches and song that brought alive Coleridge’s time there – which was as entertaining as it was informative, and represents a new connection between the Friends of Coleridge and the town today. My warm thanks to Ian Enters for facilitating and compering the evening with aplomb. My thanks also go to Maggie Roberts as Weekend Secretary, David Rix as Treasurer, Justin Shepherd for support in the run up to (and during) the Weekend, Terence Sackett for producing the flyer for the Weekend and for support via the Friends of Coleridge website, Peter Larkin for leading the walk, and finally to our speakers and our guests – all of whom played their part in making the Weekend the stimulating, enlightening and convivial celebration of ‘Coleridge and the Making of Poetry’ that it was. SAVE THE DATE FOR NEXT YEAR’S STUDY WEEKEND! 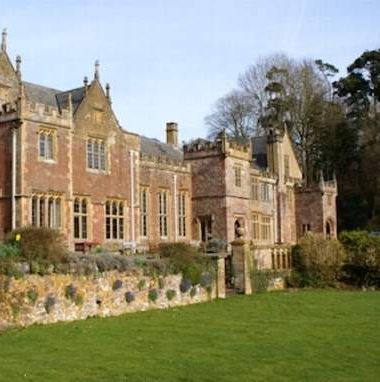 ‘Coleridge and the Natural World’: The Coleridge Autumn Study Weekend 2019 will be held 13-15 September 2019, at Halsway Manor, Crowcombe, Somerset.